After I signed the book contract for The Golden Pathway I took the time out to discuss with teachers what sparks their interest in children’s books for their classrooms beyond what the school provides. Many times over I heard they are under strict confinements with their curriculum and books need to fit into their daily teachings. I then took to task to research state curriculum guidelines and learned the creation of an teacher’s guide for The Golden Pathway needed to be a comprehensive across the curriculum guide. After meeting homeschool specialist, Amy O’Quinn through the Working Writer’s Club I approached Amy about hiring her to write a teacher’s guide for The Golden Pathway. The end result was beyond my expectations! It is in my opinion well written children’s books have a better chance of finding their way into schools when it is accompanied with a teacher’s guide. By having this guide for The Golden Pathway it has certainly helped spark additional interest with school visits. I have also hired Amy to create educator’s guides for my future books. 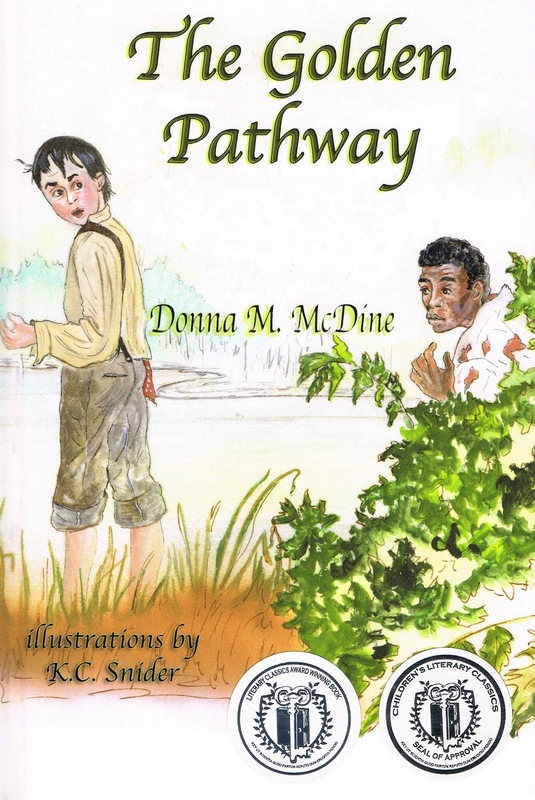 To learn more about my writing career or to order an autographed copy of The Golden Pathway visit, www.donnamcdine.com. Gift with purchase: The Golden Pathway Teacher’s Guide. Donna McDine is an award-winning children's author, Honorable Mention in the 77th and two Honorable Mentions in the 78th Annual Writer’s Digest Writing Competitions, Preditors & Editors Readers Poll 2010 Top Ten Children’s Books, Global eBook Awards Finalist Children’s Picture Book Fiction, and Literary Classics Silver Award & Seal of Approval Recipient Picture Book Early Reader ~ The Golden Pathway. Her stories, articles, and book reviews have been published in over 100 print and online publications. Her interest in American History resulted in writing and publishing The Golden Pathway. Donna has three more books under contract with Guardian Angel Publishing, Hockey Agony, Powder Monkey, and A Sandy Grave. 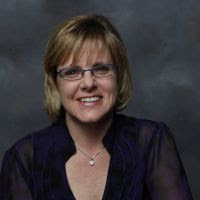 She writes, moms and is the Editor-in-Chief for Guardian Angel Kids, Publicist for the Working Writer’s Club, and owner of Author PR Services from her home in the historical hamlet Tappan, NY. McDine is a member of the SCBWI. Visit www.donnamcdine.com. I agree Donna. Anything that makes it easier to incorporate your book into the school curriculum is a good thing. Finding an educator who understands this to do it is a smart idea. I created study guides almost immediately after writing my books since my goal was to definitely get my state stories in the schools. Four years later, I'm finally finding a way to get into the schools but not the route I expected. It's going to be a long ride but eventually it will come together and I'll be in a good many of the schools. Unfortunately, even having study guides or teacher guides doesn't guarantee that school visits will follow. I would love to get more school visits but I'm sure that will come. Mary Jo and Elysabeth, thanks for stopping by to visit. I appreciate the support. Elysabeth, we used the National guidelines to start with a broad outline and developed it from there. At this time we don't plan on changing the guide since it's a broad spectrum. Great post, Donna. Your guide sounds wonderful. Amy did a super job. I'd like more info on her cost etc. Can you email me? I know how much teachers appreciate a guide. It's such a help with so much that they already have to do. Wonderful that you have one to accompany your great book. Thanks for stopping by and visiting with me. Your support is appreciated! Kathy, I'll email you privately. Donna, Great information. To make a children's book more appealing to the classroom, it does need a teachers' guide. Outsourcing it is such a good idea. I'll definitely take this route for my next book. Donna, I'd love to have the information on Amy also. Great information. I am planning a study guide for teachers for both the books I am working on especially because they are related to health and science subjects and can cross over into language arts. Donna, this is a fantastic post. A lot of authors want to know what to do to improve their chances of getting into the school curriculum (holy grail) and creating a curriculum matched teachers guide is a superb idea. I wish I'd done that with my novel Sleep Before Evening, which many people have recommended as important year 12 reading, but I never knew how to begin approaching schools. Having a teacher's guide is the obvious solution. Donna, Great idea to engage teachers. I am sure they appreciated being able to provide input and having a guide available. Thanks Donna for such a helpful article. I can see the guide would be a great way to move into school libraries and have a recommended book but here in the UK it probably might not help for school visits. We have stringent police checks in place which sometimes make it difficult for outside visitors to talk to classes. Ladies, thank you one and all for visiting and leaving your wonderful comments. Your support is greatly appreciated!